Was one of your New Year’s resolutions to get more involved in your community? Taproot Foundation can help with that. Make a difference by donating your time and professional skills to nonprofits in need of your expertise. 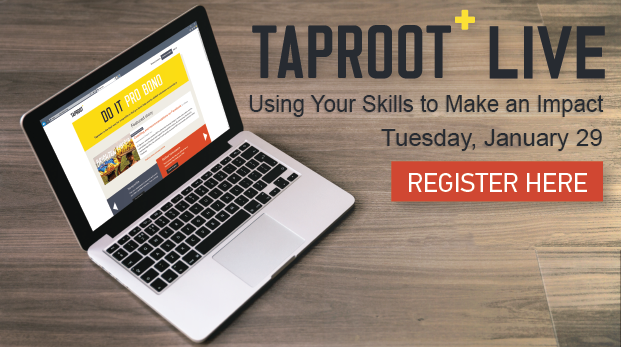 Get started by joining Taproot’s free webinar on Tuesday, January 29, for future marketing, tech, HR, finance, and strategy volunteers. Can’t attend live? Go ahead and sign up anyway—we’ll send out a recording to all registrants.